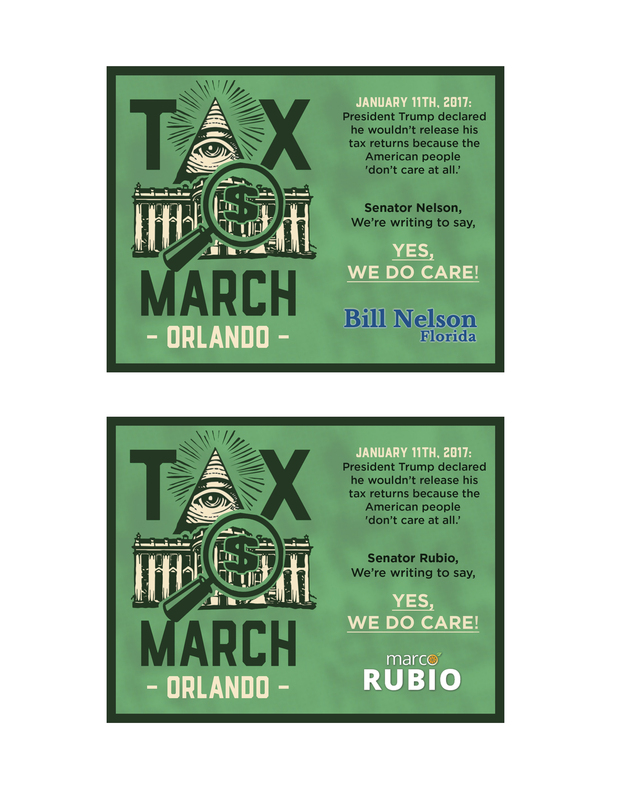 Help keep the pressure on Senator Nelson and Senator Rubio by participating in the Tax March Orlando postcard campaign! 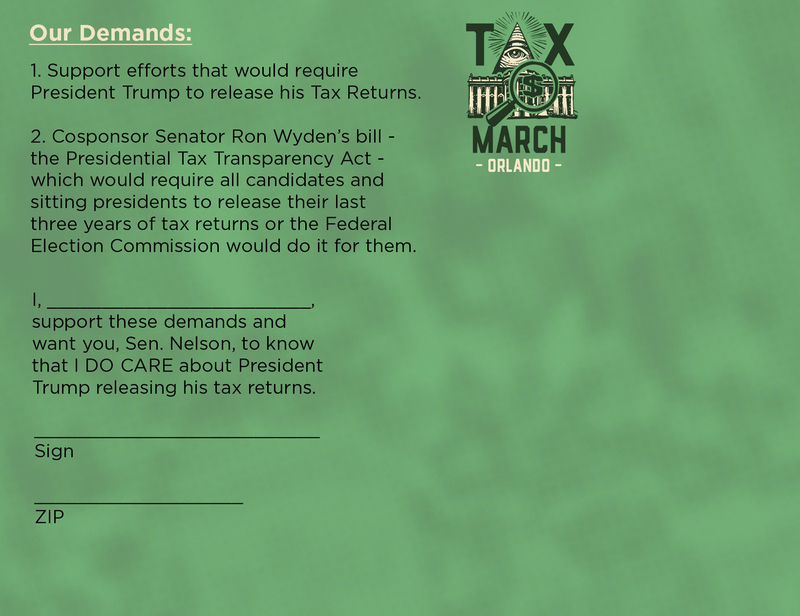 We will be mailing the postcards signed and collected at Tax March Orlando, two to both Sen. Nelson and Sen. Rubio’s Orlando and D.C. offices each day, Mon-Fri, until we run out. 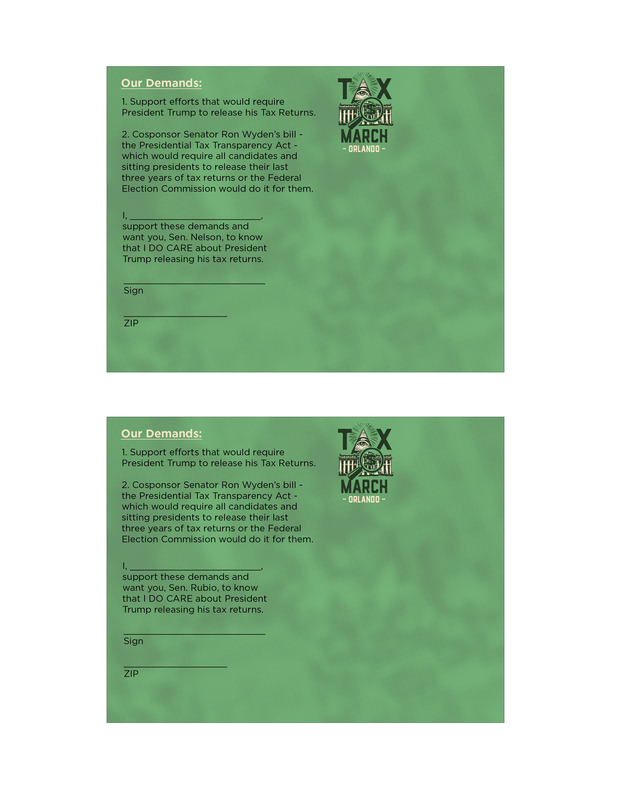 We gathered enough postcards to keep this campaign going for nearly 4 months! 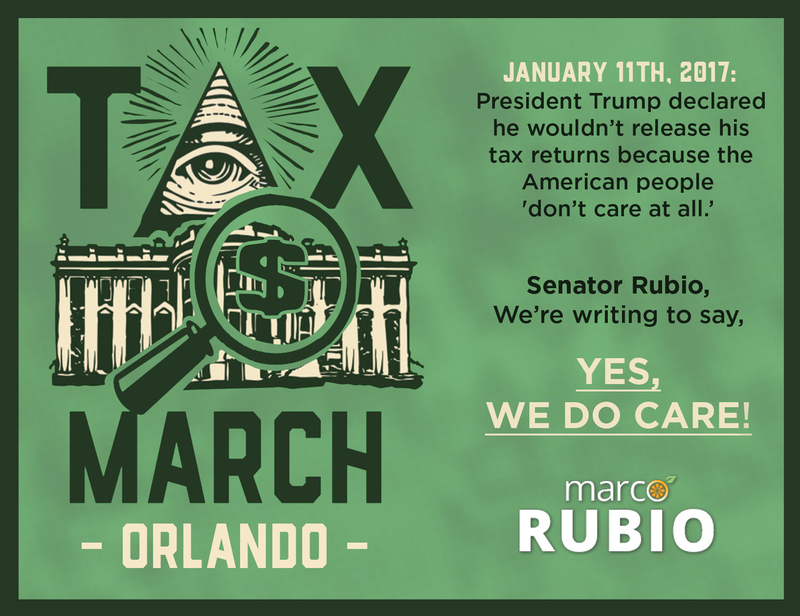 If you want to help with the postcard campaign, you can print postcards out from home using the links below, and mail them to Senator Rubio and Senator Nelson’s offices using the addresses below. 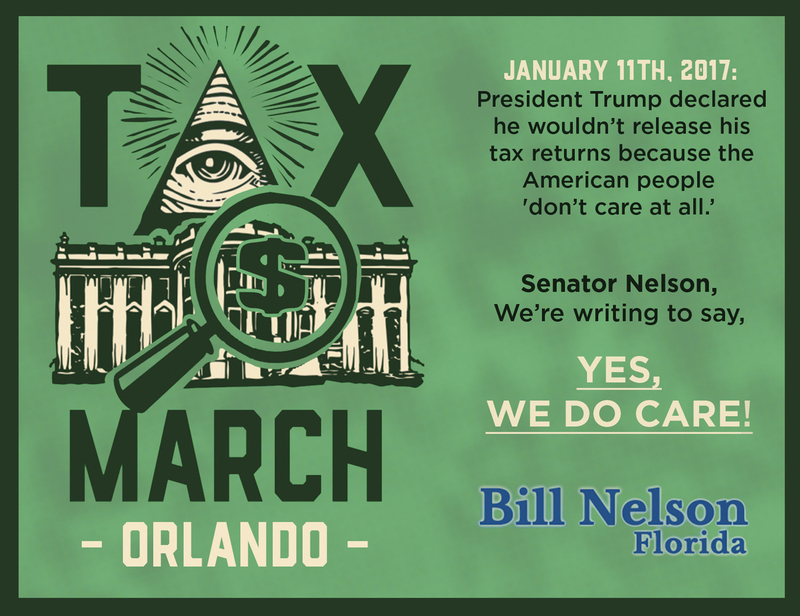 You can also call! 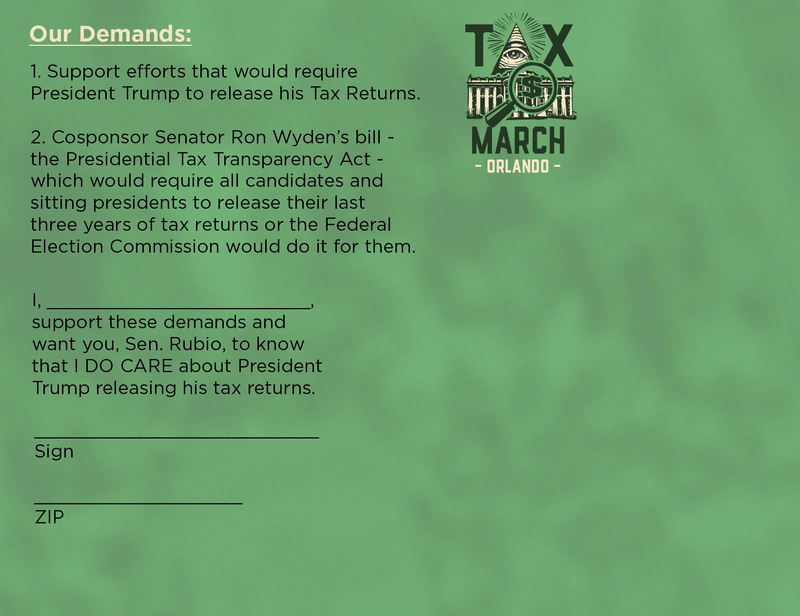 We’ve also included phone numbers for those offices so you can call and urge Sen. Nelson to co-sponsor the Presidential Tax Transparency Act and for Sen Rubio to support it.